Changing systems supplier can be a strangely exciting process. You’ve done all the research and made the decision to move to a company that you believe will bring bigger and better things to your business. Months of work and preparation finally all come together and expectations are running high with the move being an amazing decision for your business. Yet without the right support during those critical first few weeks and months, it can be a bit like having access to an amazing club, but not knowing the code to get through the door. 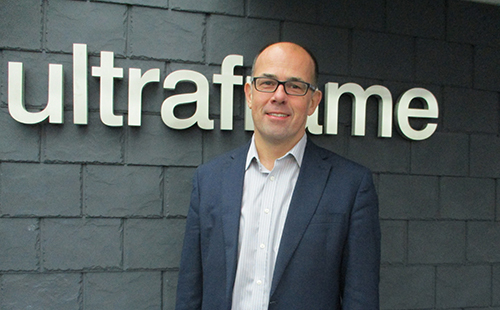 At Ultraframe, we like to think that we do things differently. Our onboarding process is a key priority, not just for Customer Services, but for every department across the business. The perception of a large company such as Ultraframe can often be that lines of communication are complex, with numerous staff to speak to about different things. Of course, once a customer is established, those relationships will be built over time, but for a new customer we understand that this just adds pressure to an already fraught time. To support this, every new Ultraframe customer is assigned to New Business Manager, Lucy Russell, who is there to ‘hold their hand’ and be their right-hand woman for as long as is needed. There are many tools that we have developed to make our customers’ lives easier and one of Lucy’s primary tasks is to ensure that new customers are fully set up and able to use them. These tools include a sales app which is the ‘online bible’ for our retail installers – containing everything they may need to access during a sales appointment with a prospective customer – retail brochures, order forms, product information videos and more. There is also an installer app tailored towards fitting teams that is fully optimised for use on-the-go on a mobile phone. This app contains installation guides, spec guides, installation videos and a whole host of other information to quickly help out a fitter with a query on-site. Another service which we feel makes a huge difference and provides new customers with that extra confidence is our first install site support service, where we send a technical engineer to accompany a new customer the first time they install one of our roofs. Feedback from customers has been that this is invaluable, providing even the most experienced of fitting teams with the reassurance that there is someone there to help on that all-important first installation. This is supported further by our renowned Training School, which has seen many 1000s of fabricators and installers pass through its doors over the years and again, this is something that Lucy can help our new customers to take advantage of. Available courses cover products, surveying and installation and can be tailored to the specific needs of each company – either at our premises or theirs. Finally, we also assign a dedicated quote/order processor to new customers so that if they have any questions about any of their live jobs, they know that there is one person at Ultraframe who knows each of them in detail and can help with any queries. Of course, the support also continues once a customer has ‘bedded in’ with us, with their own internal and external contacts that can help with any queries that they may have about sales, marketing, training, products and more. We are extremely proud of our products and the amazing benefits that they can bring in terms of transforming the way that people live in their homes. By offering the support that we do to our customers, they are fully able to translate and sell those features to their customers and that is our ultimate aim. Is foil base surface stability a ticking time bomb?